Awesome I will definitely be getting these~! Never cared much for this brand of figure, but I like that Wily. I think Funko's look pretty lame, I've never wanted one... But I want that Proto Man. 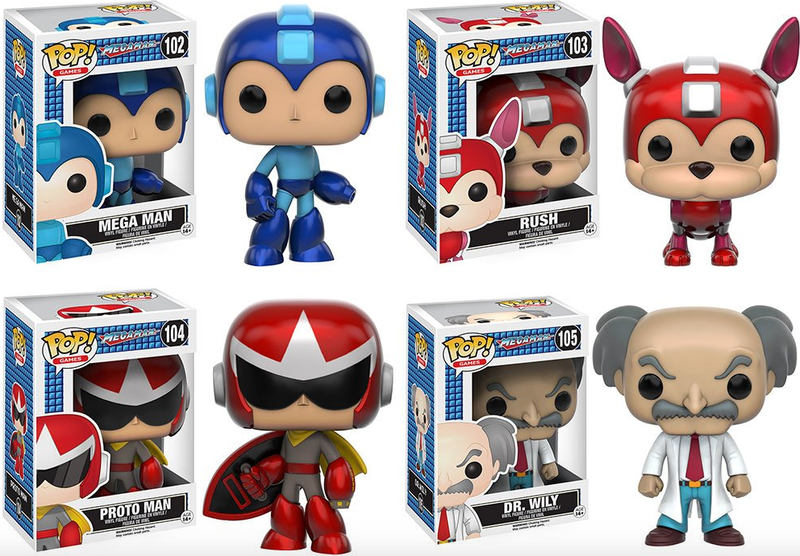 I'm not really into the Funko Pop aesthetic myself ... but Proto Man and Wily look AMAZING! Rush looks so cute! I want that one! They look like shooting gallery targets. Seriously. I'd be surprised if their heads weren't filled with confetti or something. Haha, where's the Tango exclusive? Protoman still look cool with a squarry pop head. i think i'll get the rush, i don't care about the POP figures, but he look very cute.